In today’s global environment, effective communication skills have a significant impact on career success. No matter what your career goals are, communication is an essential skill. The Bachelor of Arts in Communication Arts with a track in Organizational Communication Studies is an in-demand major for those interested in pursuing careers as communication officers in fields such as business, government, non-profit organizations, or education. Students from around the globe and around the corner can earn their degrees through this fully online degree program. A Communication Arts degree provides you with a solid foundation in core principles and practices related to business and interpersonal communication, group dynamics, and the art of persuasion. The degree is flexible, affordable, and comprehensive, teaching you important organizational communication skills such as conflict and crisis management, decision-making, and leadership and team building. The Communication Arts degree is also an excellent foundational degree for those interested in pursuing an advanced degree in Law, International Business, Business Administration, Hospitality Management, Public Administration, Human Resource Management, Social Work, Education, Global and Sociocultural Studies, International/Intercultural Education, as well as a host of other programs. Additionally, the Communication Arts department is home to the Communication Arts Studio, which offers professional online communication coaching in support of our Public Speaking and Business and Professional Communication courses. The Communication Arts Department is committed to providing students with the best possible academic experiences to assist them in achieving their goals and prepare them for the future. Both first-time college students and those returning to school to expand their knowledge will find a large array of opportunities designed to enhance their horizons intellectually, culturally and socially. This program includes current case study coursework taught by outstanding faculty who will help prepare you for careers in which where leadership and a big-picture perspective are essential to managing change. The faculty and staff of the Communication Arts Department are invested in the personal and academic growth of every student and we support individual success through quality teaching. We want every graduate to excel in a digital, global age in which communication is vital to success. The bachelor's degree in Communication Arts with a track in Organizational Communication Studies will open doors to jobs in which communication is key to managing change. Employment of advertising, promotions and marketing managers is expected to grow 14 percent through 2020, and employment of public relations specialists is expected to grow 23 percent through 2020 (Occupational Handbook, Bureau of Labor Statistics). This flexible degree program has minimal prerequisites, allowing you to select classes and schedules that work for you. The only course in the program to have a prerequisite is Advance Public Speaking, SPC 3602.Otherwise, you can take your courses in any order you choose. The prerequisite for this course is Introduction to Public Speaking, SPC 2608. If you are an entering freshman or a transfer student, who has not yet earned an Associate’s degree, you must complete the 60 credits of general education courses, in addition to the 60 credits for the BA in Communication Arts. However, you are able to mix in Communication Arts classes while fulfilling the general education requirement. If you have completed an associate’s degree from an accredited Florida institution, you will move directly into completing required courses for the BA in Communication Arts. If your associate's degree is from outside the state of Florida or from a private institution within the state, your credits will be examined on a case-by-case basis to ensure they meet Florida International University's core curriculum requirements. The following courses are required to the BA in Communication Arts: Organizational Communication Studies Track. The courses can be completed in any order you choose. There is one prerequisite, SPC 2608, that must be completed before SPC 3602. Examines public speaking as a workplace activity and provides students with practical experience. Emphasis is placed on incorporating technology into the different types of speeches. Students will learn to identify communication situations specific to business and the professions and analyze variables related to communication objectives and the preparation of oral presentations and business correspondence. Students develop the skills to build and maintain relationships across cultures by focusing on similarities and differences in communication behaviors, perceptions, language usage and social practices. Through an awareness of self, students explore the role communication plays in maintaining healthy relationships, including: romantic relationships, friendships, and relationships with family members and colleagues. Explores the role of communication in organizations, as well as the role of technology, corporate culture, leadership, teamwork, ethics and diversity in effective communication among organizations. Attitude formation and change are explored in order to identify how individuals process and act on information. Social influence theories/techniques and their ethical implications are also examined. Comprehensive introduction to the study of human communication processes including verbal and nonverbal modalities. Key historical and contemporary definitions and concepts in communication theory are reviewed. This course emphasizes the oral communication and leadership skills that are essential for the business community. Students will analyze conflict management concepts, principles, strategies and techniques and examine the communication skills needed for productive conflict management or resolution. This course examines the power of language over the course of history and how leaders (admired and not) have risen to power as a result of rhetoric. In addition to the above 11 courses (33 credits), five (5) courses from the list below are required. You may select any five courses you wish to fulfill this requirement. Required courses from the list above and electives from the list below can be taken at any time. The required courses do not have to be completed prior to taking the communication electives below. If you require more than 5 courses (15 credits) to reach the total of 120 credits required for graduation, then choose additional courses from the list below to reach the 120 credit graduation requirement. The interrelatedness of societies and culture through language, music and art is explored to foster an appreciation of how individuals convey thought and respond to events from various perspectives. The study of group development, group roles, decision-making, leadership, power and conflict management. This course examines the communication variables involved in crisis planning, and management. ​There are many facets of crisis communication, therefore this course helps you learn the necessary skills to develop a communication plan to effectively respond to a crisis. This course will examine “social media” from a communication perspective, with a focus on how media technologies influence the way we communicate (verbally and nonverbally) with others. This course will provide students with the theoretical and experiential framework for examining the meaning of communication in global business. Students examine effective communication in hiring and promoting, conflict, community interaction and the internal communication of an organization. Students will examine conceptual perspectives for understanding and evaluating communication ethics in interpersonal relationships, small groups, organizations and within intercultural contexts. Using text and films, this course examines the different styles of verbal and non-verbal communication used by men and women in various settings. This course provides a theoretical foundation of communication in areas such as interpersonal, small group, organizational and intellectual communication, providing students an overview to the field. Study of nonlinguistic and paralinguistic aspects of communication, including personal space, body language, eye contact, touch and paralanguage. This course introduces students to different concepts of organizational change management and provides strategies for mitigating organizational risks for any initiative. This course examines the effect of both (free) political news and (paid) political advertising on politics in America. Our Academic Advisors provide guidance as you work towards realizing your personal and professional goals related to their education and careers. Walk-In Advising is generally available: Tuesday's from 1:30pm – 4:00pm and Thursdays from 9:00am – 11:00am. It is also available during Early Registration periods, and at the start of each new semester during the first week of classes. Please check your advisor’s calendar for availability via your student dashboard. Appointments should be scheduled via your student dashboard. They can also be scheduled by contacting the Communication Arts Department office at 305-348-7645 or stopping by VH 206. For general advising questions, students can email us at cartaadv@fiu.edu. Led by department chair, Maria Elena Villar, the Communication Arts faculty at FIU represents the diverse nature of communication. With research interests ranging from social media to public debate, to crisis management, to conflict resolution, they bring a wealth of talent to the curriculum. 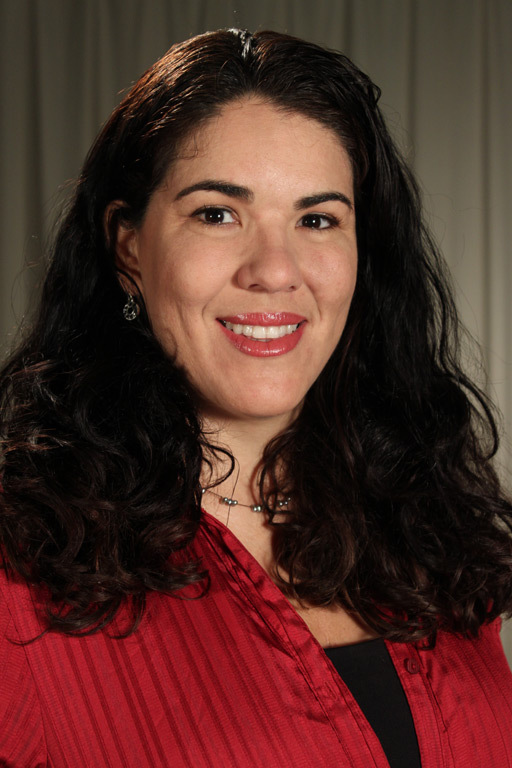 María Elena Villar is associate professor and chair of the Department of Communication at the School of Communication + Journalism at Florida International University and teaches courses in communication theory, research methods, multicultural communication, and advanced seminars in strategic communications. She holds a doctorate in communications and master’s in public health from the University of Miami, and a bachelor’s degree in economics from Columbia University. Her research focuses on culturally competent communication for social and behavioral change, and on strategic communication for diverse audiences.